In 2010 there was much to celebrate in the world of New York beer. The city had four breweries, and those in the know were ditching imported beer for American craft. Not since the 1800s, when NYC was the beer brewing capital of the nation, was the city buzzing so much about beer. 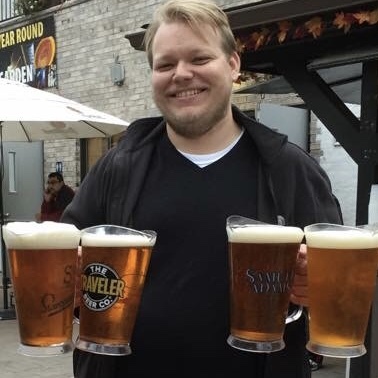 The time was right for a beer tour. Enter Marshall Stevenson and Marty Shore, two veteran NYC tour guides who bonded over homebrewing stories. These self-proclaimed beer nerds sought to create a comprehensive craft beer tasting experience that also celebrated the rich history of beer brewing. They rented a bus. They invited their fellow beer lovers. The New York Beer and Brewery Tour was born. Over the years, as the tour gained renown, New York City has risen to prominence as one of the world’s premier beer cities. With this rapid change, The New York Beer and Brewery Tour changed too, improving, and expanding, with an express version and beer/sightseeing tour added to its menu of offerings. 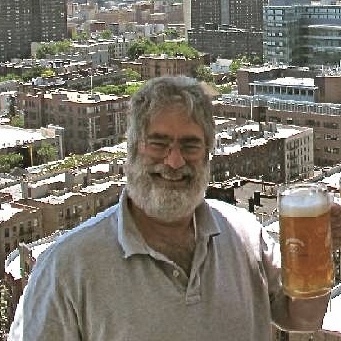 Marty, meantime, happily retired (from beer touring not beer drinking), while expert beer guides Nick Whitmer, Gina Ginsburg, and others joined the team, all with deep roots in the NYC beer scene. 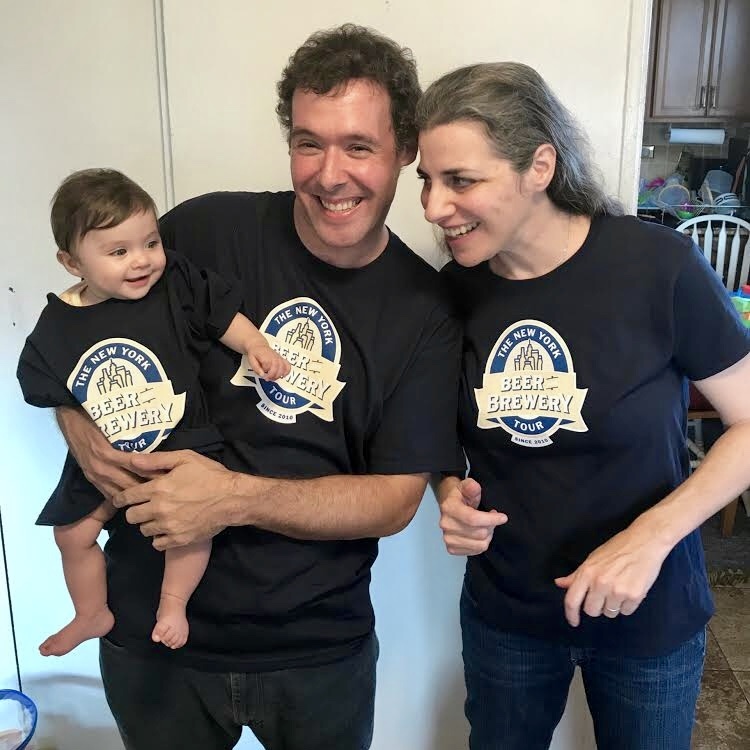 Today, as The New York Beer and Brewery Tour approaches its 9th year, we are as proud as ever to be surviving in the rough and tumble world of New York City as a family owned, small business dedicated to providing our guests with an authentic craft beer tasting experience. Thanks to all of you who have already joined us. For those who haven’t yet, we look forward to seeing you soon. Cheers! Nick is a familiar face in the NYC craft beer world. Hailing from Virginia, he started serving craft beer before it was even legal for him to drink it. He moved to NYC and began working at The Chelsea Brewing Company in 2011. There, he became a Certified Beer Server and learned all he could from esteemed veteran NYC brewer Mark Szmaida. Nick joined The New York Beer and Brewery Tour in 2013. Seth is a self-taught beer expert from Wisconsin where it’s basically illegal not to drink beer. Since moving to New York seven years ago, he’s been writing about craft beer and various other important topics. Seth is the newest member of The New York Beer and Brewery Tour team and our resident beer blogger. 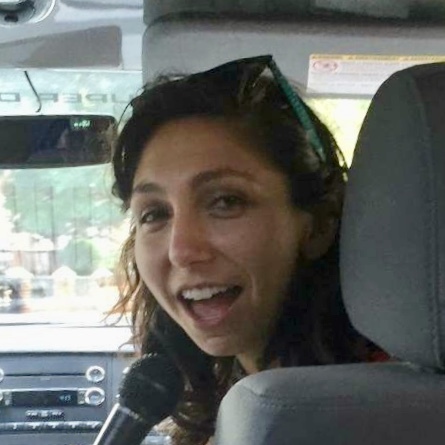 Gina joined The New York Beer and Brewery Tour in 2014 by way of Oregon, where she cut her teeth in the industry as a tour guide for a craft beer tour in Eugene (the microbrewery capital of the Pacific North West). Gina is also a standup comedian. Marshall is the co-founder and Senior Guide on The New York Beer and Brewery Tour. Before diving into the world of NYC craft beer, Marshall was a radio reporter heard on networks including AP, CBS and NBC Radio. He is a married father of a two-year-old girl, and native New Yorker, born and raised. Marty, the co-founder of The New York Beer and Brewery Tour, is one of those guys who knows everything there is to know about New York City. An avid homebrewer, he also knows everything there is to know about craft beer! Now retired, he enjoys the beer rich lifestyle we all dream about. “Seth was super professional and a great tour guide. He is very knowledgeable about the history – from the first breweries, through the prohibition, to present day.” – Stephanie H.
Want to “hear” more? Click a photo below to listen to one of our NYC radio show appearances!